You don’t know me but I am one of the 17,000 individuals employed in the Southern California horse racing industry. I’m a handicapper, wagering ambassador and thoroughbred racehorse owner. Aside from that, I am a fan of the sport of king’s ever since the first time I watched the Kentucky Derby when Strike the Gold won the run for the roses in 1991. I’ve worked on the backside; I’ve seen how well these horses are taken care of, even the mean ones are loved. I’ve visited farms and rehabilitation facilities and seen how well these horses are cared for when they get the kinds of injuries athletes tend to get. Here in California we have some of the most advanced technology in the United States for rehabbing injured horses and we do take injuries seriously as once again, we do love these horses. I count myself lucky to have too many, I can’t even count how many, friends who are jockeys, trainers, camera dudes, bartenders, farm owners, mutual clerks, security guards, other handicappers, paddock employees, waitstaff and fellow members of the marketing department at Santa Anita Park. We love our industry and we are scared for our future and what the future of Southern California horse racing could be. Nobody wants to lose their job at this place where we absolutely adore coming to work every day. (And how many people can say that?) and everyone is concerned about what will become of the racehorses who are not worth money to breed if racing stops in California. Not every horse is worth a million dollars and if horse racing is outlawed in California I fear a lot of those cheap horses will have no place loving to go. We had 19,000 horses born here in the United States just in 2018. A halt to horse racing in California is going to see trainers in a desperate situation to rehome some of these inexpensive animals. This equine sport is an extended family that goes back generations (To see proof of this checkout #IAmHorseRacing on Twitter, Facebook or Instagram) Half of my horse racing friends have family; brothers, sisters, cousins, fathers, who also work in this industry in California. There are 17,000 of us in California who consider ourselves lucky to work with these majestic creatures because we do love them. 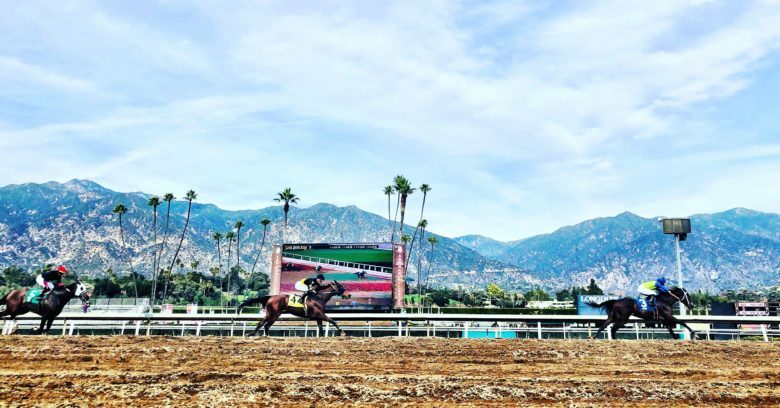 None of us want to lose our jobs as our sport tries desperately to find answers to what is going on at Santa Anita and make the changes so these injuries stop happening. On Sunday at Santa Anita Park we lost a horse who was loved by many. Arms Runner was a well-known horse at Santa Anita. I was there when he broke his maiden (Won his first race) and wow, was he a memorable grey-white beauty. Many turf races later, Arms Runner rehabbed at Bonnie Acres Ranch back in fall of 2018 and returned to the races this winter looking fantastic. Bonnie Acres Ranch is one of the best rehabilitation centers on the west coast. The owner, Bob Mitchell is one of the best in the business at rehabilitating racehorses at his Bonnie Acres Farm in Hemet. Bob may be close to 90 now with a bad back that some days causes him to barely be able to get out of bed, but he keeps working with these horses because his heart is horse racing. Arms Runner’s trainer Peter Miller sends all his horses to Bob when they have issues (And that’s a lot of horses in his stable) because we care about our equine athletes getting the best care for their needs in our industry. You may hear a lot of stories about horses being neglected in this industry but even our less expensive claiming horses get the loving care they deserve alongside the stakes-placed horses at Bonnie Acres Ranch. I mention Bonnie Acres here because maybe three years ago I toured Bonnie Acres in the summer and I ran into an old friend, Comma to the Top, a old ten-year-old (at the time) gelding. At the time that I met Comma to the Top at Bonnie Acres, he was rehabbing from a knee issue. He had been retired at least a year at this point. He last raced in July 2013, but Peter Miller (Yes Arm’s Runner’s trainer, Peter Miller) paid for this old gelding to have his old racehorse knees fixed, lots of surgeries probably costing Pete thousands out of his pockets. That, for an old horse who would stand in a pasture for the rest of his life, never earning any more paychecks. Peter Miller did this because he loves horses. I’ve seen on social media the heartbreak his employees have with the loss of Arm’s Runner this week. It’s heartwrenching and it’s the ugly side of horse racing and us lovers of the sport are hopeful for a future where these kinds of injuries happen less, or God willing, not at all. In my opinion, the medication changes Santa Anita is proposing will greatly help our sport in this way. All of us in the horse racing industry really do love and appreciate these equine athletes and this is a terrible time for our sport. 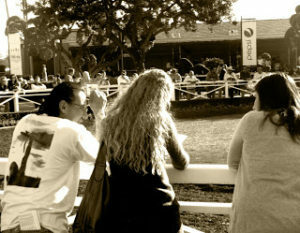 I see that like myself, you are “A lifelong lover of horses” and as one I wonder if you have visited our backside at Santa Anita Park to see just how well these equine athletes really are taken care of, and not just all the negative hype spewed across the internet in the last few weeks. I urge you to do so before suspending horse racing at Santa Anita. Suspending or ending horse racing in California would destroy the livelihood of so many families in California. Families that have trained horses here, built breeding farms and built this industry. Here in California, we are proud of our California bred horses and our industry. Not only that, but horse racing in California brings in nearly 2.47 billion for our state. Please consider this when considering suspending horse racing in this state. This sport is our livelihood, our passion and our dream. I’m enclosing a Link to a story aired on TVG after the Lilac Fire of Thoroughbred Worthy Turk who was believed to have perished in the fire. Many people and many PETA supporters believe we do not love our horses at Santa Anita and we are just in this for the money. You can’t possibly watch this video of the reunion of this beloved racehorse, whose assistant trainer and caretakers thought perished in that terrible catastrophe, and not see how much we love our horses in this sport. 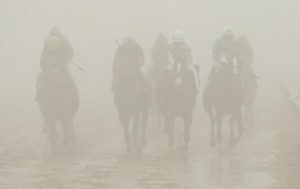 Please before looking at suspending horse racing in California think of our love for these horses, it’s there and I see it every day under the green grandstand of Santa Anita Park and the thousands of lives that will be impacted if racing at Santa Anita Park and in California is interrupted.